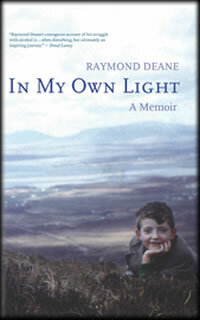 In this compelling and lyrical memoir, renowned classical composer, author and political activist Raymond Deane evokes his near idyllic childhood on Achill Island, his adolescence in Dublin, and his rapid descent into alcoholism. In an alternately humorous and horrific narrative moving swiftly from Ireland to Italy, England, Switzerland, Germany and France, Deane shows us how a lovingly protected childhood is no bulwark against disaster. 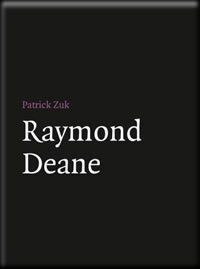 While this is no “misery memoir”, Deane does show how memory can seize upon and exaggerate painful experiences to provide a convenient but spurious explanation for irrational behaviour. Throughout his story creative achievements and self-destructive frenzies succeed one another and sometimes coincide. Love is found and lost, and found and lost again. At last his recovery begins at the age of thirty-five when even those closest to him have given up hope. In the end, his book is, in his own words, “a talisman against fatalism”. Written in three parts which are as strongly contrasted in style and tone as the movements of a symphony, In My Own Light provides a harrowing and honest look at one man’s battle with self-destruction. 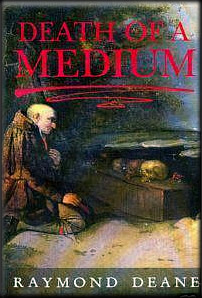 Gothic extravaganza, poker-faced burlesque, allegory of self-discovery and/or self-delusion - however one approaches it, "Death of a Medium" is above all a fast-paced yarn that will tempt you to read it at a single sitting. in print for one of Ireland’s most significant composers."